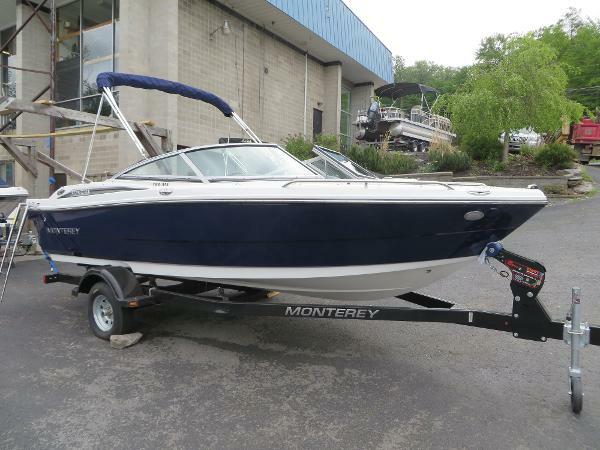 2014 Monterey 186MS Harbor View Marine brings you this gently used 2014 Monterey 186 MS bowrider. 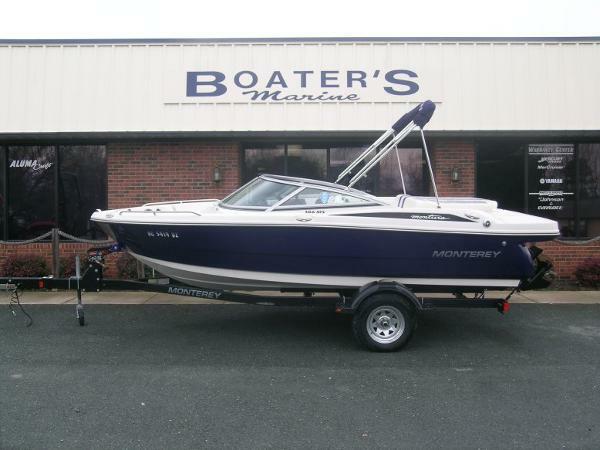 This boat is perfect for you family! 40 hours on the Mercruiser 3.0L 135 horsepowered motor!! The 186MS is sure to get your pulse racing. Excitement and adventure are just a few ways to describe the voyages you'll soon be taking with your new 186MS. 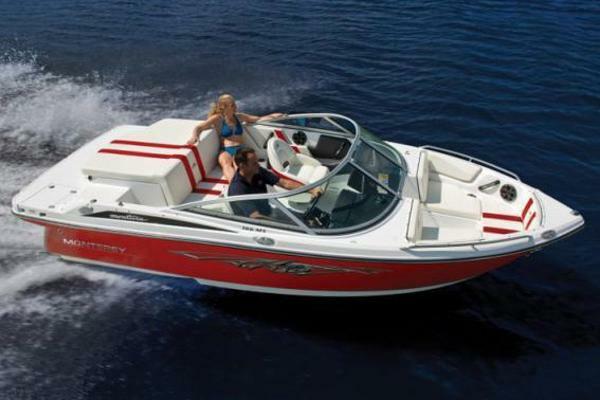 The 186MS is loaded with amenities, such as spacious seating throughout the boat, ample storage for all your water toys, and swim ladder for ease of access to and from the water. 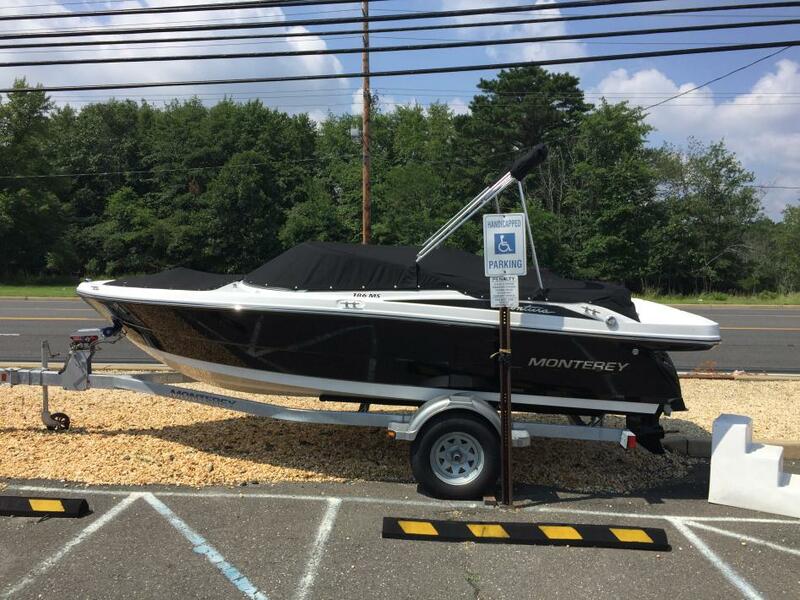 2017 Monterey 186MS The 186MS is loaded with amenities, such as spacious seating throughout the boat, ample storage for all your water toys, stainless steel ski tow, swim platform, and swim ladder for ease of access to and from the water. 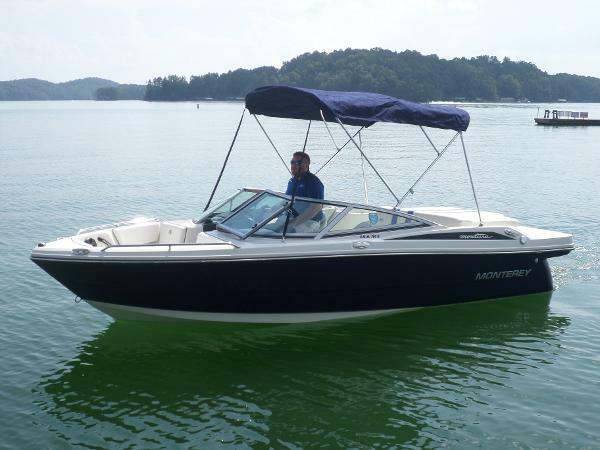 2015 Monterey 186MS This brand new 2015 Monterey 186 MS is powered by a 4.3 L TKS Merc Alpha 190 horsepower engine. 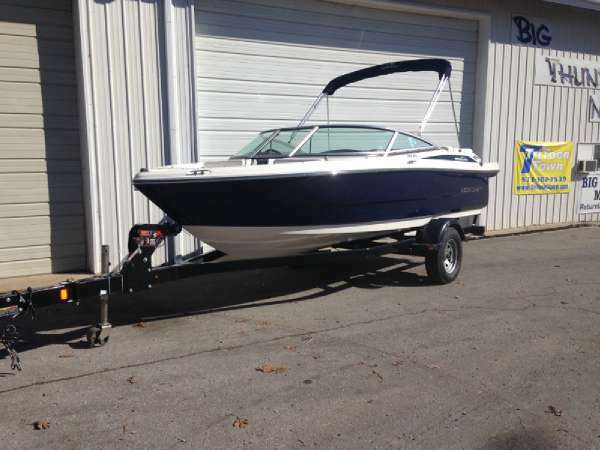 It has a stunning sapphire hull with arctic ice bottom.Included with this brand new boat is a stainless steel package, a convenience package, bimini top with embroidered boot, bow and cockpit covers, and an aft seat cushion with a removable backrest.Stop by our showroom today to see everything this 2015 sport boat has to offer! 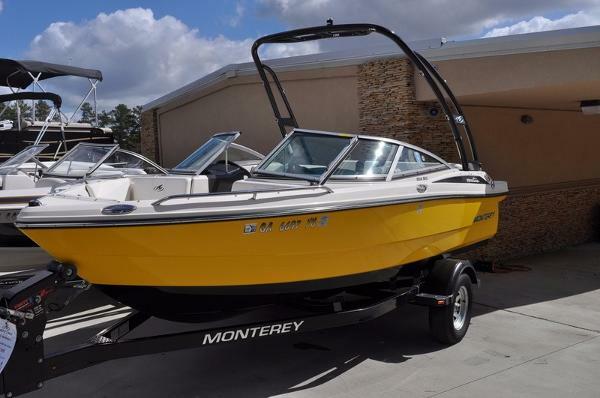 2014 Monterey 186MS NEW BOAT! 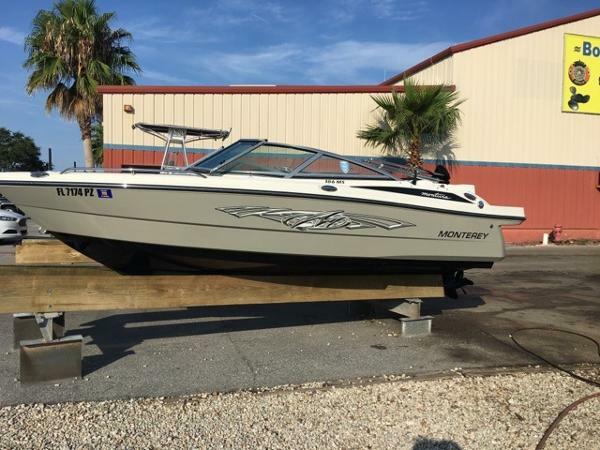 Full Factory Warranty, Special Purchase, 2014 Monterey 186MS With Mercruiser 3.0MPI, Trailer, Convenience Package, Cockpit Carpet, SS Package, Bimini Top, Mooring Cover,$24,900.